Often, we try to make peace and joy in our meditation but that does not happen. Venerable Nitho teaches us to be passive and let everything slowly calm down all by itself, so that then you will experience peace and joy. 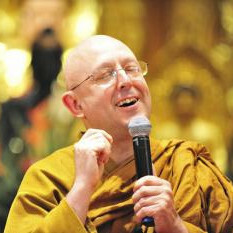 Ajahn Brahm talks about enjoying our possessions like family, relationships and identity without being attached to them. Attachment comes from fear and enjoyment comes from letting go of fear. Bhante Sangharatana talked to us about mindfullness and breath meditation encouraging us to see the difference between the two. Mindfulness being our attention to the meditation object or focus on, for example, our breath. Bhante further explains that mindfulness is of itself not meditation. Bhante then explained for the beginners amongst us, the need for meditation or why we meditate. He further explained the technique used for a simple but successful breath meditation. Bhante then guided us through a 30min beginners breath meditation after which he opened the floor to questions. Venerable Hasapanna describes how attachment to our habitual views and behaviours clouds our perception of our actions and the world around us. Venerable explains how training the mind and practising mindfulness gives us the ability to acknowledge, recognise and accept what is arising in our mind, such as subtle hatred and to then let it be instead of reacting. Mindfulness brings a huge number of benefits to our health, wellbeing and education and is a core part of meditation and Buddhism. Ajahn Brahm talks about what mindfulness is, what it’s not and how it can be used in ordinary life to improve our quality of life, let alone to see the truth of things and become enlightened. 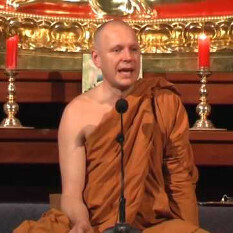 Ajahn Brahm gave this Buddha Dhamma talk during 2009 in Thailand. Ajahn Appichato teaches us a technique of calming the mind, by looking at the breath with a positive perception, such as beauty and joy. 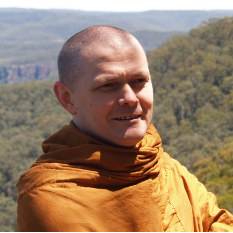 Ajahn Appichato discusses the environmental issues in our world today. Ajahn contemplates why we conduct ourselves in such a way that is not conducive to the welfare of the natural environment and the serious damaging impacts this will have on our human society. Ajahn Brahm points out that natural disasters happen, it is part of living in the world. It is not some punishment from karma and what really matters is our intentions and the way we deal with them. Ajahn teaches us how relate to the tragedies in life and to see the beauty in them, such as the beautiful lessons we learn from them. The Middle Way is the term the Buddha used to refer to the Noble Eightfold Path – a practice avoiding extremes of austerities and sensual indulgence. Ajahn Brahmali discusses The Middle Way in regards to the Buddha’s own practice and also our own meditation practice. Ajahn Brahm talks about how we can use the traditional practises of meditation for huge amounts of benefits, which are well researched and scientifically proven. Ajahn shares with us some of the amazing results you get from learning how to meditate well and emphasises the importance of preparations, getting your understanding and attitude right and learning how to be in the present moment and silent. This Buddha Dhamma talk was given in a workshop at the 2009 World Fellowship of Buddhist Conference in Thailand. Ajahn Santutthi teaches us how to calm the mind and encourages us to be patient and aware of how things unfold in the mind. USA CIA with Venerable Bodhidhaja. USA is an acronym for unburden settle arrive. CIA is an acronym for the mind or central intelligence agency. Venerable used these acronyms to get us interested and grab our attention. Venerable then described the basics of meditation in terms easily understood by all beginners and experienced alike. Venerable then guided us through a 30 minute meditation well suited to beginners encouraging us to treat each thought that arose by saying to it "I value your presence" and then let it go. Venerable then opened to questions giving very detailed answers using synonyms and practical examples. How can laypeople become enlightened in this life? How can we go further than just living a peaceful happy life? Ajahn Brahm explains what enlightenment really is and teaches us how to learn to love and embrace ourselves and life. 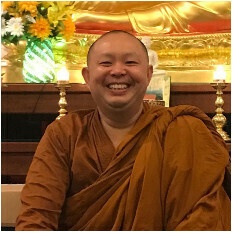 Ajahn Santutthi shares his experience on how the Buddhist teachings have helped him in his many years as a monk. 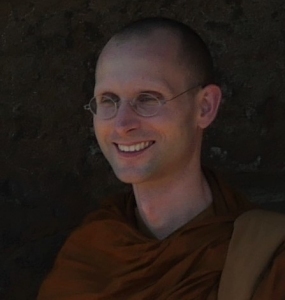 Ajahn points out that monks and laypeople both wish to overcome suffering and difficulties in life and that this is what the monks learn to do in the monastery and one of ways you do this is to change the way you see things, situations and people. Ajahn Brahm offers a deep explanation on the meaning of wisdom in Buddhism. Ajahn explains how wisdom is something you get through investigating, contemplating and looking very deeply into the nature of yourself, relationships and into life and is not something you can get from reading a book or listening to a talk. Ajahn emphasises that Buddhism doesn’t tell you what to believe, but how to find out for yourself. In other words 99% of Buddhism is teaching you how to find out the truth for yourself. Religions should not be enslaving, but liberating. 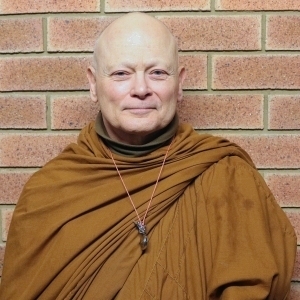 Ajahn Brahm challenges the ideas in Buddhism and other religions about autonomy & freedom, and knowledge & faith. 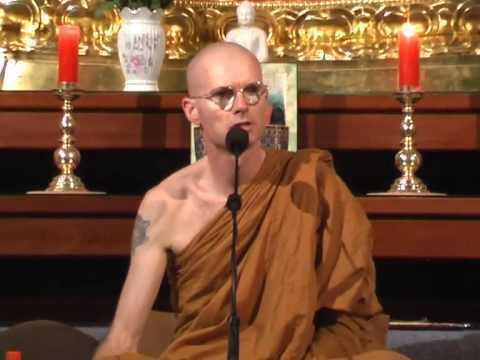 Ajahn looks at how Buddhism challenges you to be free and to take responsibility for your karma and Ajahn ponders the problems of authoritarian religions. Venerable Bhukkhuni Seri explores the concept of a spiritual warrior. Venerable explains what the spiritual warrior path is and why this particular term resonates with her. Venerable shares some Dhamma stories to inspire us to also train and practise the eight-fold path and attain liberation and freedom.